The next time you are planning for a hill station holiday, give Lonavla a chance and take a break from the desert dunes. This resort town offers a combination of thrills and serene views with lush green mountain valleys, mysterious caves, bumpy cliffs, and some pleasant side streets to walk on. I made a last-moment call to Pune Tours for a town car and was impressed by the professional and positive attitude that I received, they did accommodate my requirement on such short notice. Even the driver was humble and pleasant. He was kind, friendly, and extremely professional. When I called him for the round trip, he was easy to reach and very responsive. I felt safe riding with my friends and that meant a lot to me, as the driver was reliable and generous. Pune Tours surely provides the best Pune to Lonavla Car Hire Service. We had the most wonderful trip ever! 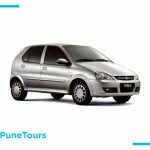 We can’t thank enough to Pune Tours for the best Pune to Lonavla drop as they gave us knowledgeable, fun and accommodating drivers. 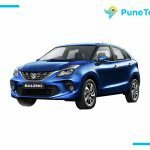 Pune to Lonavla car hire with Pune Tours was awesome as the car was clean, comfortable and well-maintained; everything ran according to the schedule. Cab to Lonavla with Pune Tours was fantastic and the pleasant temperature of Lonavla welcomed us dearly. Lonavla, the city with serene mountains, valleys and a city full of greenery, it is also known as the “City of Caves.” Besides being surrounded by mountains and waterfalls, it is a very old city with great Historical places and is a true example of natural beauty. As Lonavla attracts thousands of travelers across India each year but it is advisable to visit this beautiful place between the months of October and May, as the city experiences heavy rainfall between the months of June and September. Pune to Lonavla distance is just 64kms, being the nearest international airport to reach Lonavla. But the place experiences heavy rainfall between June and September. Even, the city is full of thrilling sports and amazing forts. 1) Lohagad Fort: The fort rises to an elevation of 1,033 m (3,389 ft) above sea level and is a great attraction to visit as it is, it is also an ideal trekking destination because of its accessibility, ease of trek and lush green surroundings. 2) Karla and Bhaja Caves: The caves are serving as a prominent example of early rock-cut architecture in India the Karla Caves are an epicenter to experience transcending peace at. 3) Pavana Lake: Fun activities like camping, picnics, and sightseeing at Pavana Lake is awesome. Located amidst the scenic beauty of Kamshet, surrounded by expanses of fertile green land, this place looks almost like an island. 4) Duke’s Nose Point: You can trek all the way to the top of the Duke’s Nose Point to see the sun setting behind the small Sahyadri peaks. This day hike gives travellers a dose of adventure and an opportunity to see great views from the vantage point, even the major water sports enjoyed in the area are waterfall rappelling, rafting, zorbing. Pune Tours assures you an amazing and fantastic service and we would surely offer an economical, Pune to Lonavla tour package and would definitely provide you the best, Pune to Lonavla Car Hire Service. Here’s why you need to travel with US? The pickup and drop would be done by our professional drivers and are always on time. 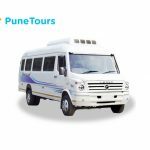 Pune to Lonavla one day tour with Pune Tours will be hassle-free and billing is completely transparent. The online booking process with Pune Tours is very easy and convenient. The drivers are friendly, kind and knowledgeable to make your trip a better one. We do have an awesome collection of cars which are spacious as well as comfortable for you and your loved ones. Pune Tours also offers exciting offers and discounts so that you can save up, and plan to travel with us again. For further assistance, you can call us on +91 7721 91 2222 or visit our website punetours.com.